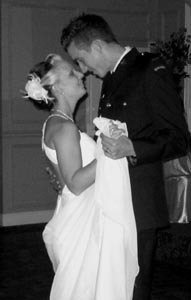 Book Ottawa DJ Service for your 2011 Ottawa weddings today and save 15%. October 10th 2010 - Congratulations to Natasha and Jason for hosting such a beautiful wedding reception at the very unique Orchard View Wedding and Conference Center.. It was amazing to see your daughter's signing performance! Also memorable was Fabien's beat boxing skills. Below are video highlights. Enjoy! "Ottawa's Orchard View - Unique Wedding Venue"
Located only 20 minutes south of downtown Ottawa, Orchard View is set in a tranquil atmosphere and can accommodate indoor events from 10 to 400, as well as, outdoor events from 50 to 2500 guests. Whether you're looking for a beautiful and lavish banquet room for a sit down dinner, an intimate candlelit dinner for close family and friends, or a relaxed outdoor wedding, the staff at Orchard View will be honored to take part in creating a memorable event designed just for you. Orchard View is described as one of the most unique wedding venues in Ottawa. "The decor is charming, the food and service is exceptional" says Sarah - Event Planner for Ottawa DJ Service. 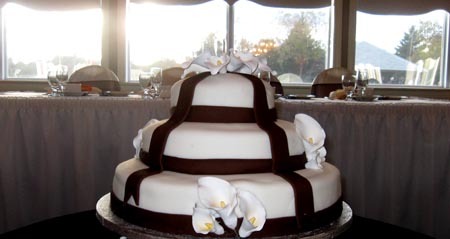 "I will definitely recommend Orchard View Wedding and Conference Center to our clients who are looking for a unique wedding venue in the Ottawa region". 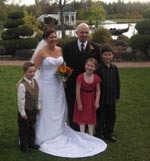 “Ochard View is by far on of the best wedding venues in Ottawa” says Carolina, the bridal party’s maid of honor. "Special thanks go to our DJs from Ottawa DJ Service who had everybody dancing all night".